June 18, 2018--I have another favorite "tool" and this time it's beading thread--well, not so much a thread as a fishing line. 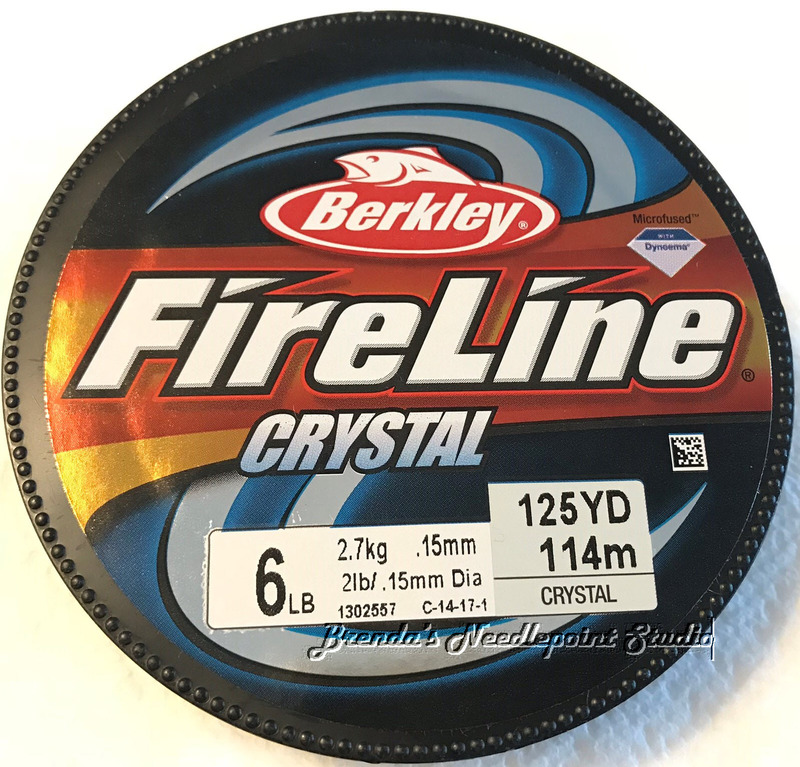 I use Berkley FireLine Crystal 6 lb. .15mm line. It's a pre-waxed, braided cord that doesn't break, fray or knot. I can easily thread my favorite beading needle (a size 28 which slides easily through most beads) without using a threader. Once I worked with small pearl beads and didn't have a needle small enough to use, so I just manually pushed the FireLine through each bead and that worked perfectly. Because it's a clear crystal line, it can be used with most bead colors and won't be visible on the canvas. This line is readily available online from a number of sources, e.g., Amazon.com, eBay, etc. and many beading companies offer it with their name on the spool. However, I found it is less expensive to purchase the line from a fishing retailer rather than a beading store. I use The Bead Smith brand called Illusion Cord. But, mine is .25mm and I too have had to thread the bead without a needle which works fine especially with as little beading as I have done.